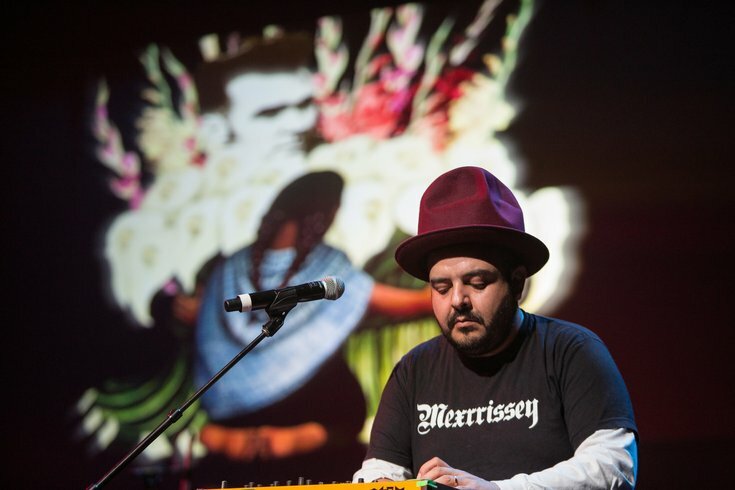 Camilo Lara adds electronic samples to the mix during Mexrrissey's performance at the Perelman Theater on Oct. 29, 2016. It seems only natural, then, that this love has born a love child, so to speak. Enter Mexrrissey. 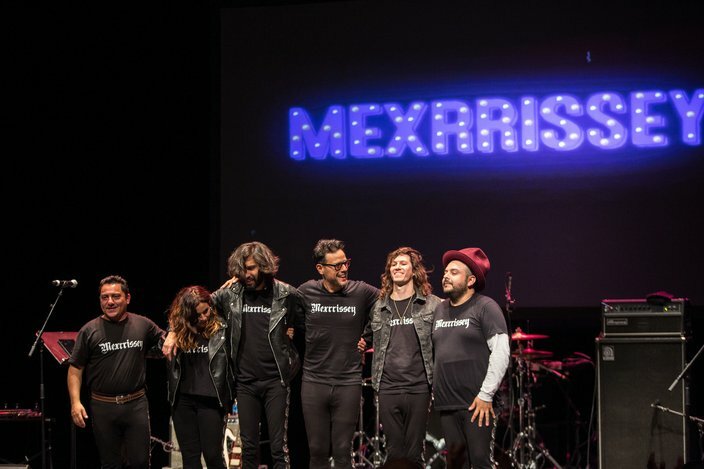 Mexrrissey is a Mexican super group that is essentially a Morrissey and Smiths tribute band. But, their version of Morrissey speaks Spanish and adds a mix of ranchera, cumbia, mariachi and Latin pop to the mix. It totally works. 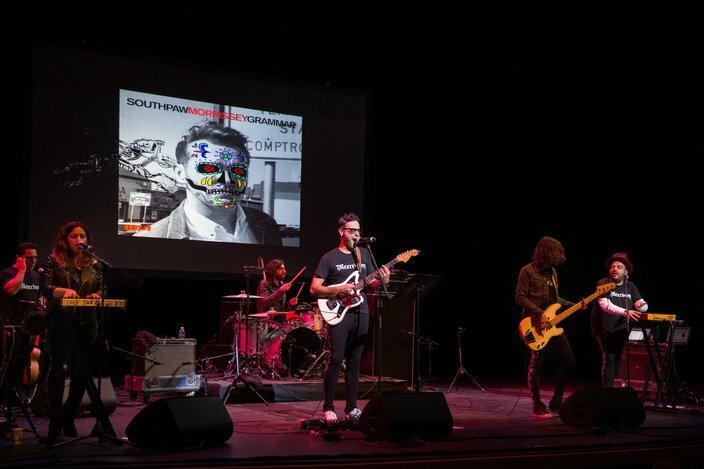 On Saturday evening, Mexrrissey played a free show at the Perelman Theater at the Kimmel Center to celebrate the upcoming Dia de los Muertos. It was not a packed house, but that just added to the intimate, small-club feel. 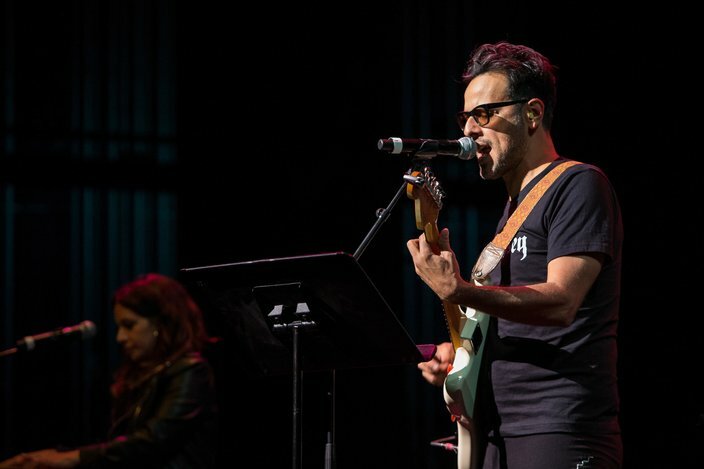 Camilo Lara, of the Mexican Institute of Sound, helped organize the tribute band, along with Sergio Mendoza of Calexico and Orkesta Mendoza. On stage, along with Lara, were underground rocker Chetes on guitar and vocals, Jay de la Cueva on bass, Alex Escobar on trumpet and Ceci Bastida of Tijuana No! on keyboards and vocals. They started the show off with a bang, playing “El Primero del Gang,” or “First of the Gang to Die.” The Spanglish lyrics (“el primero del gang con un gun en su hand”) coupled with masterful trumpeting against the backdrop of a Dia de los Muertos animated face of Morrissey, showed that the band embraces its kitsch. The audience was slow to get up and moving through the Spanish versions of “We Hate It When Our Friends Become Successful/Me Choca Cuando Mis Amigos Triunfan” and “Girlfriend in a Coma,” even though the latter was so upbeat as to have a “cha cha cha” tossed in there. For the first song of the encore, Bastida, Chetes and Escobar did a lovely and sad version of Morrissey’s song, “Mexico.” The rest of the band came back out to rock out to “Estuvo Bien,” or Morrissey favorite “Suedehead.” And just when it seemed like they were finished, they busted out into “How Soon is Now,” which had a synthy, spy-movie-like vibe to it, bringing the show to a dramatic close. Mexrrissey’s new album, "No Manchester," was released on Cooking Vinyl last year. 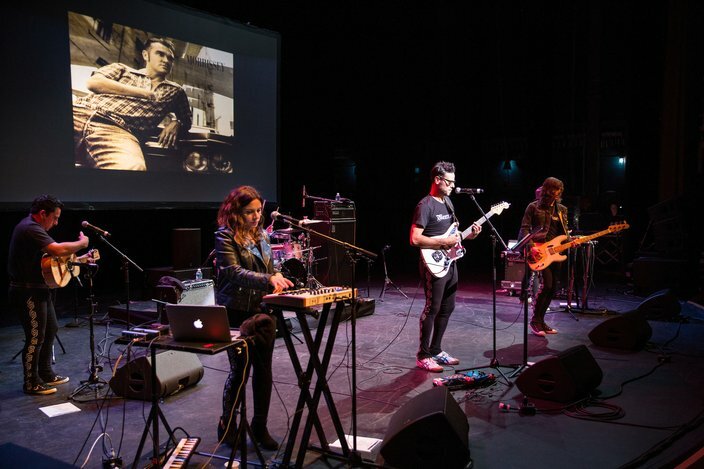 Mexrrissey, a Mexican supergroup that covers the songs of Morrissey, performs “El Primero del Gang (First of the Gang to Die)” at the Perelman Theater on Oct. 29, 2016. Chetes, of the Mexican supergroup Mexrrissey, sings “El Primero del Gang (First of the Gang to Die)” at the Perelman Theater on Oct. 29, 2016. 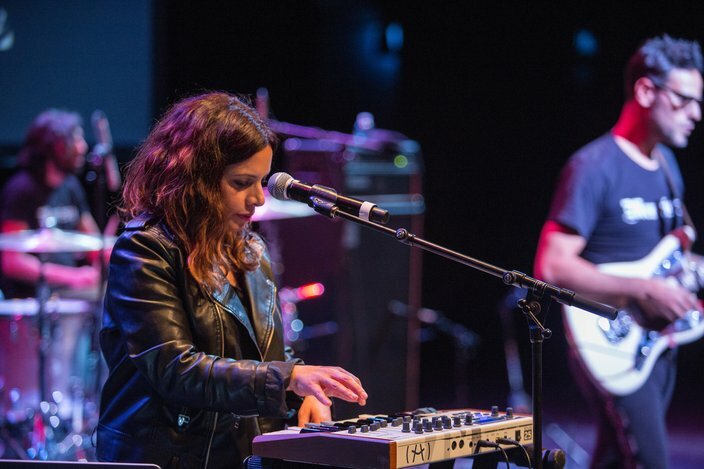 Ceci Bastida plays the keyboard during supergroup Mexrrissey's performance of “Me Choca Cuando Mis Amigos Triunfan (We Hate it When Our Friends Become Successful)” at the Perelman Theater on Oct. 29, 2016. 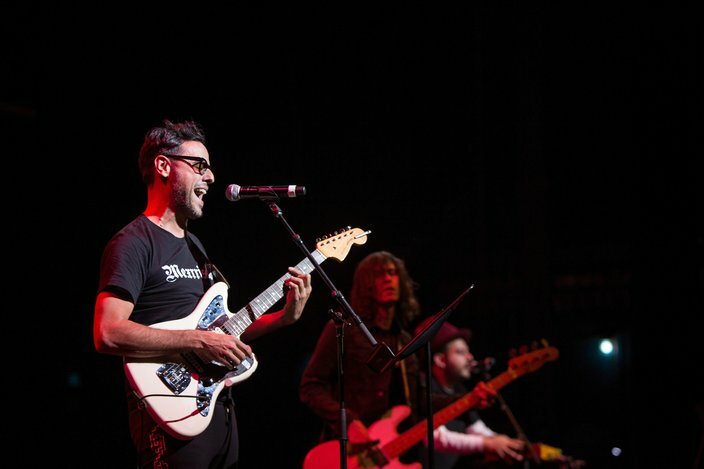 Chetes, of the Mexican supergroup Mexrrissey, sings “Me Choca Cuando Mis Amigos Triunfan (We Hate it When Our Friends Become Successful)” at the Perelman Theater on Oct. 29, 2016. 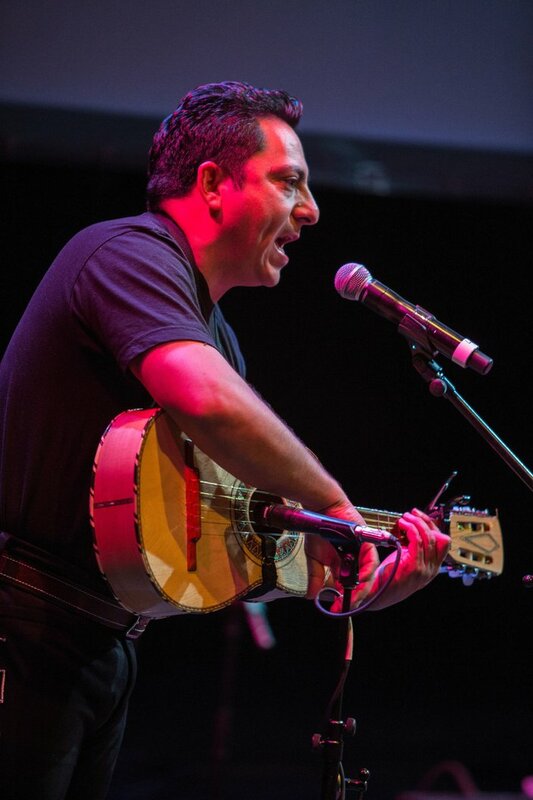 Alex Escobar plays the vihuela and sings backing vocals during supergroup Mexrrissey's performance of “Me Choca Cuando Mis Amigos Triunfan (We Hate it When Our Friends Become Successful)” at the Perelman Theater on Oct. 29, 2016. Mexrrissey, a Mexican supergroup that covers the songs of Morrissey, takes a bow after performing at the Perelman Theater on Oct. 29, 2016.